A new look at slip rate data and geologic evidence for ancient earthquakes on the central Garlock fault suggest that seismic activity along the fault may be controlled in part by "super-cycle" changes in strain that occur on thousand-year timescales. The findings are part of an increasing body of evidence that suggests there may be large-scale coordination of earthquakes in time and space, which can cause large earthquakes to cluster in time along a single fault system, for instance. The Garlock fault runs along the northern border of the Mojave Desert in southern California. Although the immediate region around the fault is not heavily populated, earthquakes along the fault could impact most of southern California. James Dolan of University of Southern California and colleagues' new look at the Garlock fault found that a cluster of four earthquakes during the late Holocene, about 500 to 2000 years ago, occurred at a time when the average slip rate on the fault was twice as fast as the long-term average slip rate. Previous paleoseismic results show, however, that this cluster was preceded by a 3000-year lull of very small or no slip. This "on-off" behavior of the Garlock indicates that the fault may go through "super-cycles" of strain, where the strength of the fault waxes and wanes over thousands of years, the researchers say. 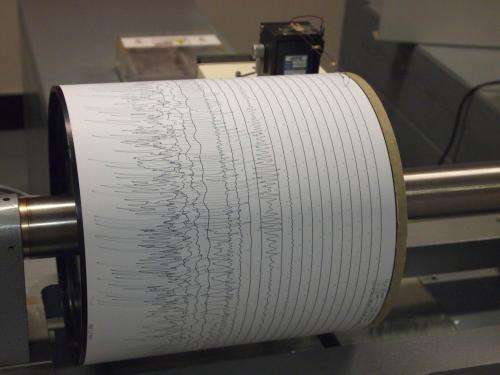 Overall, the earthquake cycles in the area may be caused by this type of super-cycle influencing the strength of many different faults in the region, including the San Andreas, Garlock and the Eastern California Shear Zone faults. Dolan will present his research on April 22 at the annual meeting of the Seismological Society of America (SSA) in Pasadena, Calif. Sounds like we're gonna have a come to Jesus moment in S. California any time in the next few decades. See linked related article from October last year. I am not S. California non. I am in S. Louisiana. I though you are too. Did they ship you out of state this last time instead of Mandeville?